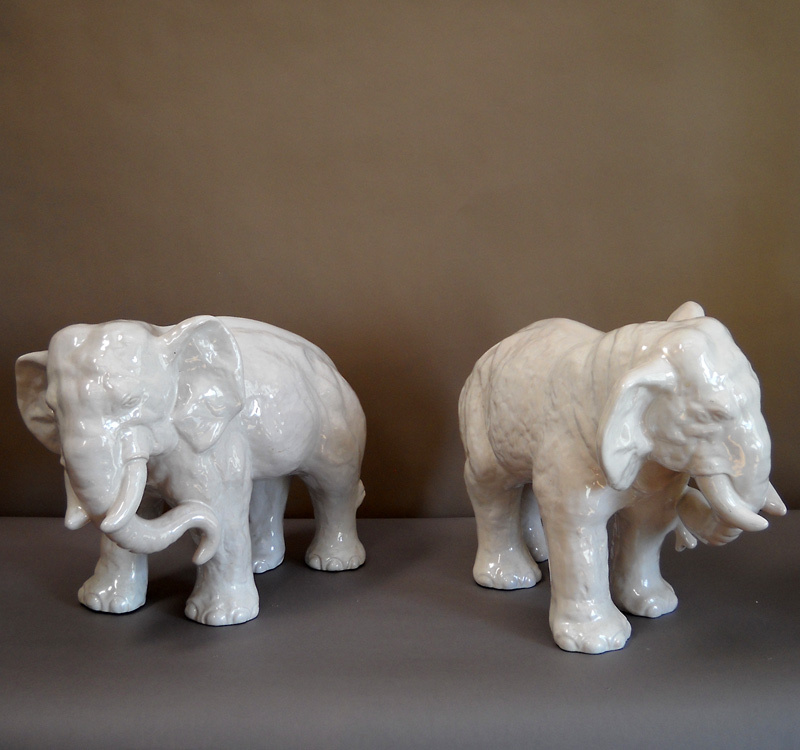 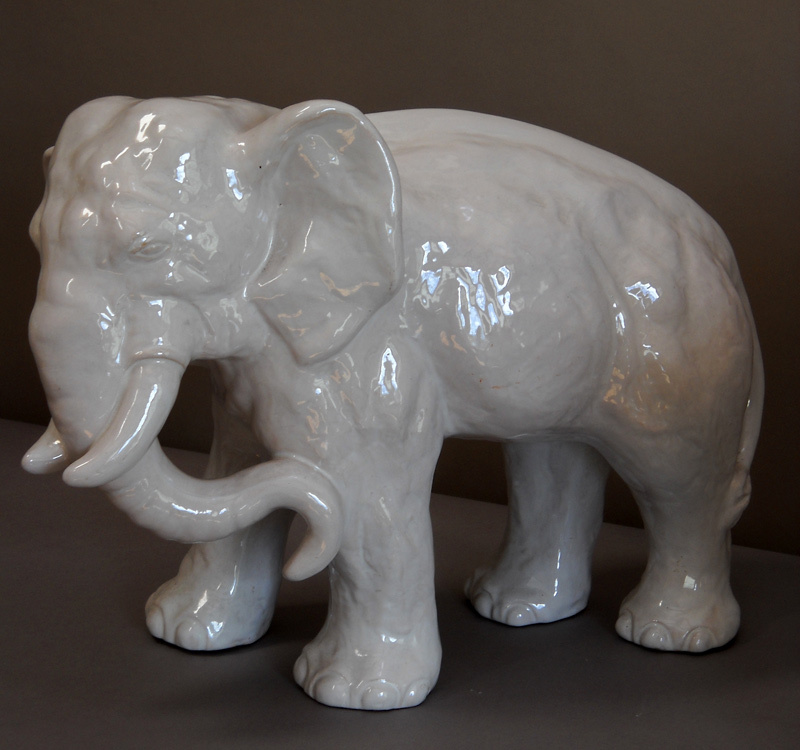 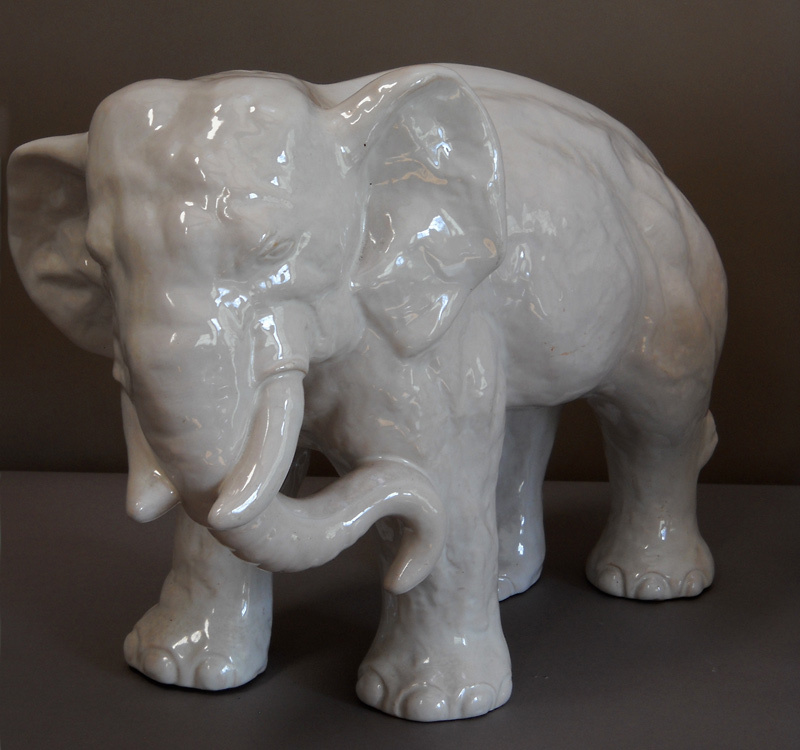 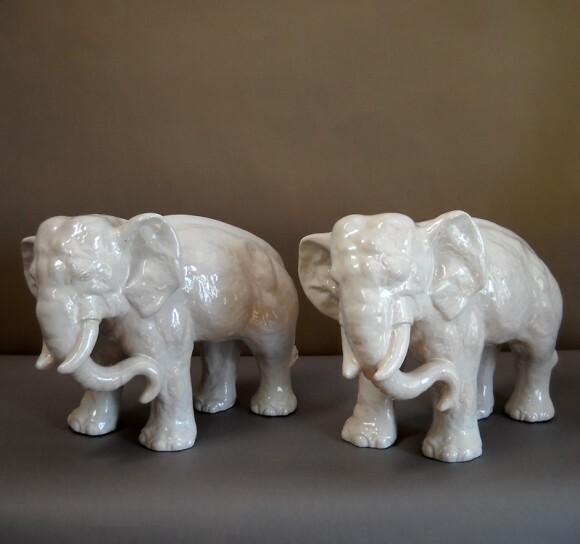 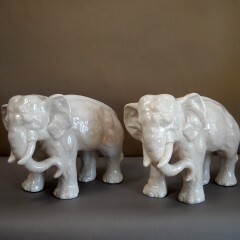 Pair of elephants in white stoneware from the Danish ceramic factory L. Hjorth on the island of Bornholm. 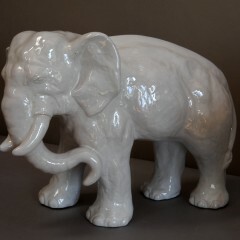 Signed “T.Hjorth” by Lauritz’s daughter, Thora Margrethe Hjorth (1875-1970) and impressed with the studio’s stag mark. 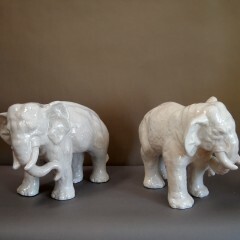 Before 1940.